Aborted babies accounted for more than a quarter of all deaths in England and Wales in 2013, official figures reveal. According to figures from the Office for National Statistics (ONS), there were 506,790 recorded deaths in England and Wales in 2013 – the most recent year for which figures are available. These, however, do not include abortions. Separate figures, also compiled by the ONS, reveal that a total of 185,331 abortions took place in England and Wales in the same year. Adding the total number of unborn babies who died as a result of abortion in 2013 to the total number of recorded deaths in England and Wales brings the overall death total to 692,121. This means that 26.78 per cent of the deaths were caused by abortion. 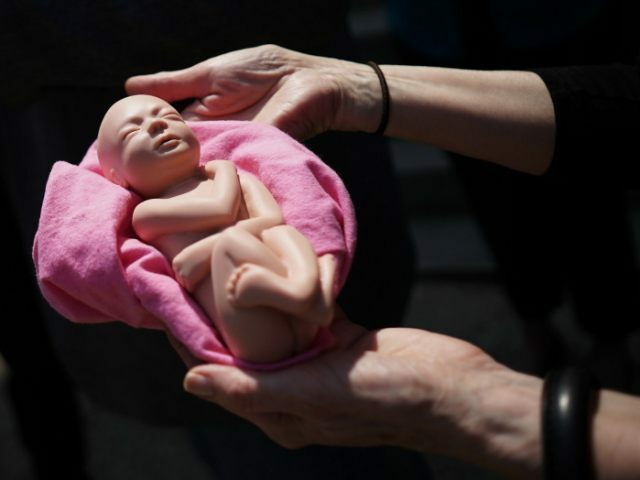 The figure has remained relatively stable for the past few years, with abortions accounting for 27.76 per cent of deaths in 2010, 28.17 per cent in 2011 and 27.05 per cent in 2012. Peter D. Williams, Executive Officer of Right to Life, told Breitbart London: “That unborn children comprise – when included – over a quarter of all mortalities in the UK illustrates the stark disregard, disrespect, and lack of empathy for human life, and especially the most vulnerable human beings, that legalised abortion has introduced so insidiously into our culture. “Not only has our society normalised a profoundly uncaring attitude towards babies in the womb when they are deemed to be inconvenient or imperfect, but it fails to adequately support women in unplanned pregnancy to have their children. There have been growing calls in recent years to alter Britain’s abortion laws, with backbench MPs attempting to clarify the law earlier this year explicitly outlawing the abortion of a child on the basis of gender alone. MPs called for the change after the Crown Prosecution Service decided not to prosecute doctors offering terminations on the grounds of gender, ruling that charging them would “not be in the public interest”. Although the bid failed, following a successful lobbying campaign by pro-abortion campaigners, it was still supported by over 200 MPs. Last month, Breitbart London reported that new health minister Ben Gummer had been criticised by abortion activists for holding pro-life views. Gummer said in a Guardian interview in 2008 that he was “personally and principally opposed to abortion,” although he would not support the practice being outlawed. He told the Independent last month: “Change to abortion law has always been a matter for Parliament, not for the Government.